A warm Aloha awaits you on the islands of Hawaii where you'll be met by fantastic white-sand beaches, tropical scenery and slow pace of life. 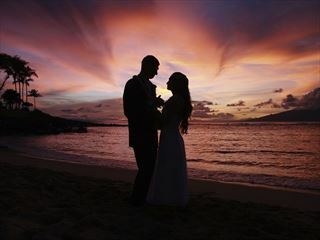 A Hawaiian wedding is an experience which will stay with you forever. 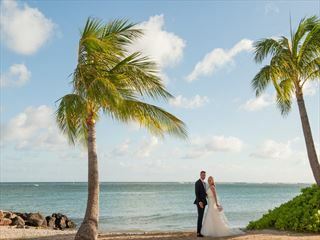 Choose to marry on an idyllic sandy beach, in a choice of serene locations on Maui, Oahu and Kauai. Maui, known as the ‘Valley Isle’, has numerous possible locations including Kapalua Beach and Kaanapali Beach. Kauai, the ‘Garden Isle’, offers locations at Poipu and Shipwrecks Beach, or choose to marry on the island of Oahu on the famous Kahala Beach. Whether you are saying ‘I do’ for the first or second time or wanting to renew your commitment to one another with a Renewal of Vows celebration, we are confident we can provide you with your dream American celebration. The Island of Hawaii, or The Big Island as its often known, is the largest of the Hawaii Islands offers stunning volcanic scenery with the Volcanoes National Park being a must see. 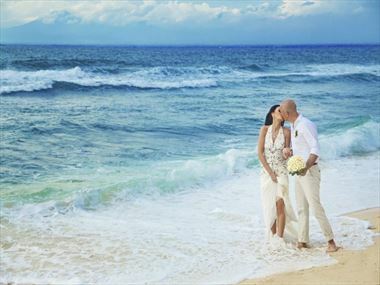 Where could be more romantic than a tropical island in the Pacific Ocean, to exchange your vows. 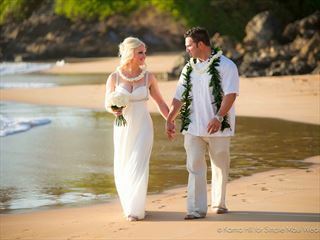 Kauai offers a taste of paradise and a choice of wedding locations that will make all your dreams come true.